⇐ Un Brunch avec Symfony2 ! We are building cross-platform apps with Titanium since it came out in 2009, it was a great journey and we contributed to the platform, the builder and also created some widgets. For now, we found no real free and open-source competitors to Titanium (sorry @xamarin), but there are new players in town, so let’s see what they have to offer ! 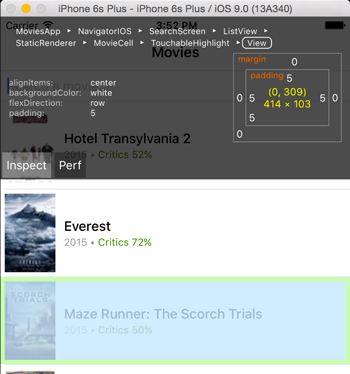 Hello NativeScript and React Native ! Why these two new libraries are coming out in 2015? Nearly the same as building a mobile web app. Performance and UI. The rest is for the developer comfort. It is actively maintained by Appcelerator, it is mature, has an IDE and a MVC framework called Alloy. We built many apps with it and wrote some blog posts. Oh okay, this is just some Typescript class extending an Objective-C class. We saw in the previous code sample that a common module was imported and merged with the exports, this is the official API exposed by the SDK and available for both platforms. Metadatas for all native APIs are generated when building the app and it allows to call native functions from JS files. Facebook posted twice on their blog, once for the iOS release (mars) and once for the Android release (september). I recommend these posts, it helps understanding the history and progression of the library. Controllers provide the glue between the model and view components in the form of application logic. Controllers are just modules and can be exported and created from other controllers, which is great to split your app into reusable components. NativeScript uses nearly the same architecture but with raw models, although they use quite a lot of the observable pattern in the examples. React does not force any architecture as it is just a view library with components. I think that Flux is the way to go (see comparison of other flux-based library). The unidirectional data flow is great for the declarative programming approach used in React (because we only declare views with it’s own data). More recently, Facebook introduced Relay and GraphQL, which seems nice but force to have a GraphQL server side implementation. I prefer the approach of React Transmit with promises. Both these libraries remove the gap between the component and its data by including the query. Here is a sample code of a list view populated with data from a json webservice. Titanium has an official IDE called Appcelerator Studio integrated with many Appcelerator services such as Cloud Services (database as a service). For all the frameworks you can use the IDE or text editor of your choice since they always provide CLI tools to build the app. Titanium has an official live reload implementation called LiveView, there is also a community one called TiShadow that we use quite a lot. The NativeScript one is called LiveSync, unfortunately these tools are not really just reloading the code but restarting the app after syncing it. The React one is more efficient and transparent, we can also force the reload with cmd+R. The three frameworks have at least runtime logs and console.log to debug variables. Appcelerator Studio has a nice debug mode and handles breakpoints. 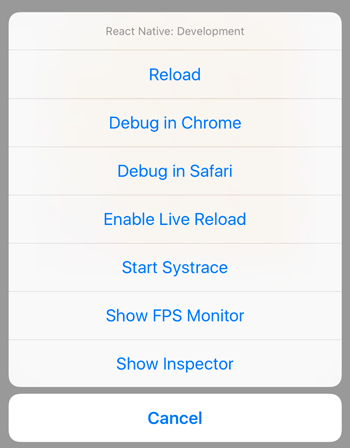 NativeScript and ReactNative use the chrome debug tools with remote debugging. The implementation is more advanced for React as you can debug components individually with the help of React Developer tools or use the built-in UI inspector in the simulator. NativeScript try to be closer to CSS and handle a subset of rules that are next applied to the native object. A fancy feature is that we can import external files from a server. Write/learn once, deploy anywhere is valuable to a lot of people, it is valuable for us. There is no best solution and there is always tradeoffs, you have to find the one that fit the best to your needs. If you prefer stability, Titanium is the way to go, it is the first in place and has some great enterprise feature. If you value most the UI, React Native has already some awesome contributions since it’s mainly a view library adopted by developers and front end designers, it also has the biggest community right now. NativeScript is a nice alternative since Telerik is known to offer some great UI (but not for free), and if you plan to access a lot the bridge and connects to… native script :p.